The New England Aquarium is home to Simons IMAX Theatre and the New England Aquarium Whale Watch, which runs from April through October. It features a plethora of some of the world's most amazing marine species, such as the impressive giant pacific octopus, sand tiger shark, green sea turtles, and North Atlantic Right whales. It is an absolute must for children of all ages and any adult in love with the underwater world. The aquarium is a wonderful family attraction for a rainy day. 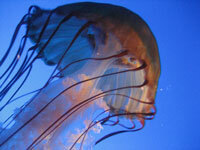 Basic admission includes the aquarium, while the IMAX and Whale Watch charge additional fees. Opening times: Saturday to Thursday 9am to 6pm; Friday and Saturday 9am to 7pm. Hours are slightly reduced in winter. Admission: $26.95 (adults); $17.95 (children aged 3 to 11). Other concessions and packages available.